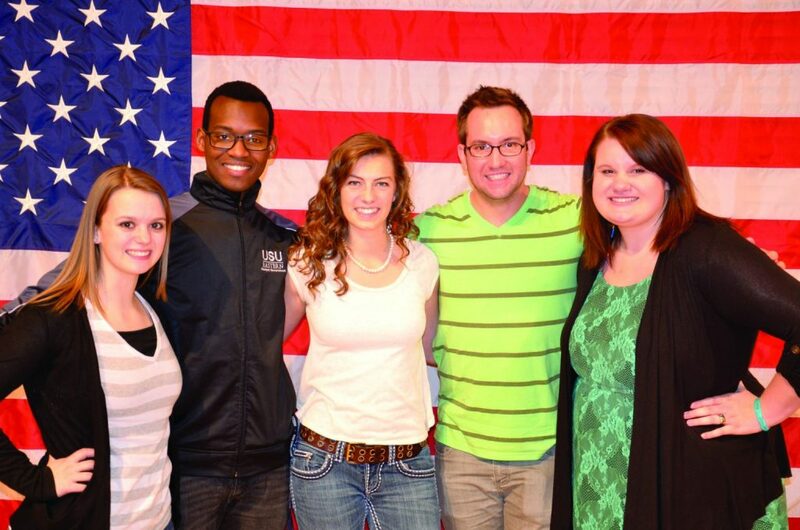 Each year elections are held at USU Eastern for three ESA student government positions, student body president, activities vice president, and executive vice president. Five candidates are running. Miranda Cox and Benjamin Bjarnson for student body president; Wyntre Pierce, who is running unopposed, for vice president of activities; and Arsene Mugisha and Harley Earl for executive vice president. All of the candidates were required to write a short biography about themselves. They included their platform and ideas for changes they plan to implement here at USU Eastern. They were written for the benefit of USU Eastern’s student body. Ben has many goals for USU Eastern and some of his goals include lowering the cost of tuition, creating academic programs, building community partners to help students find jobs and off campus housing and more activities big and small. “I want our school to bundle the costs of housing, food, tuition and books, as well as having a high number of clubs to create more activities throughout the week,” he said. Miranda Cox: “Hello everyone. My name is Miranda Cox; I grew up in Tremonton, Utah, and attended Bear River High School. My favorite animal is a lion and I enjoy long walks along the beach. I love spending time with my family and friends, playing volleyball, watching America’s Funniest Home Videos and playing signs. People’s laughs are the funniest and most contagious things on the planet and I occasionally combust into loud laughter (sometimes in awkwardly quiet situations). Fun facts: I hit my elbow so hard that I broke my tailbone and last semester I fractured my finger doing a Chinese Fire Drill. Cox’s goals are to uphold, but also build on the traditions at USU Eastern, help the future members of ESA in their duties, stimulate a Scream Team and help with the sport teams on campus, make campus more friendly for all students and create better communication and involvement with the community. Pierce’s goals include bigger and better events for students, new events, a new spin on the traditional events and more multi cultural activities. Earl’s goals for the upcoming year are to have more involvement with clubs, recruit more international students, gather more feedback from the students, and make campus friendlier. Hoping to continue is his current position, Mugisha’s goals include creating a senator department, creating opportunities for students to travel during spring break, making Global Week bigger and better and serving the students in their academic needs. “Being a student voice, representing them in their academic and basic needs at school is what I have started last year 2012-2013 as an executive vice president. Keeping this culture and improving it is all I am looking forward for,” he said. Each candidate hopes to be able to bring their skills to help make USU Eastern a home away from home for its students. The students, traditional and nontraditional, choose these positions and these elected officers become their voice. This year elections were held all week starting Monday, Feb. 24 and will continue until Friday, Feb. 28. The elections will be open from 8 a.m. to 5 p.m. each day and must be done in the Jennifer Levitt Center in the main hall. There will also be an election center available in the Reeves Building and the West Instructional Building on Thursday, Feb. 27 from five to eight p.m.